Click here for a slideshow of this event. 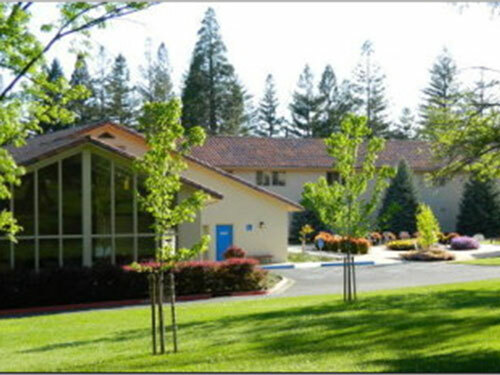 Jane Foster's sewing students joined her for a sewing retreat at the Mercy Conference Grounds in Auburn, CA. This was a relaxing sewing retreat featuring the expert instruction from Jane Foster, the company of wonderful women, many demonstrations, wonderful food, private sleeping rooms, and so much more. Meals were served in a small dining room, and our group was the only group in attendence. Food was served cafeteria style, and included many delicious items. The spacious sewing room had very good lighting. Coffee, tea, and cookies were served mid morning and afternoon. Each day Jane gave a "Tip of the Day". 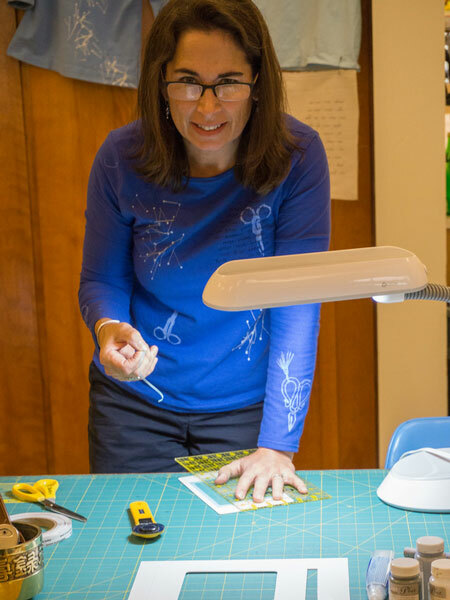 For example, she demonstrated how to use a see through silk organza press cloth and card template when turning up a narrow hem, and how to make precise mitered corners which could be used on a front facing.Everyone enjoyed learning new things and most recorded the information with photos on their cell phones! 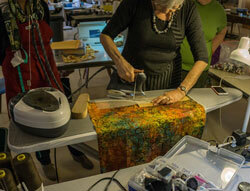 Jane invited Sally Baker to demonstrate the method she uses to make silk screens. Using her Thermofax machine she showed how to make the screens from start to finish, and was very generous in sharing the type and sources of products she uses. After the demonstration students had fun using Sally's screens and paints on their own projects. 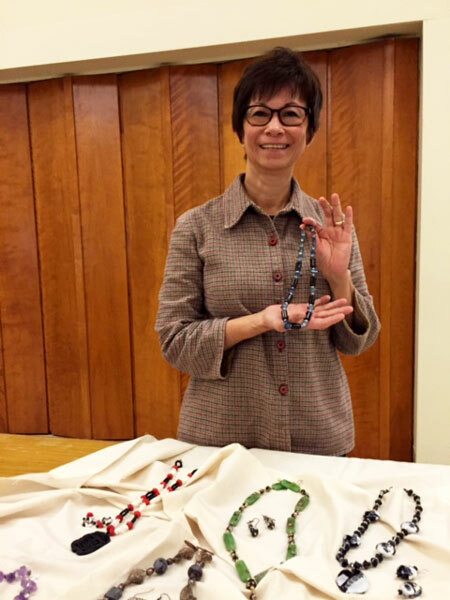 On another morning Jane invited Patty Saitz to show the jewelry that she creates.This caused a frenzy as everyone rushed to see the pretty necklaces and ear rings! Fortunately there was something for everyone! Patty puts together beautiful combinations of beads and says she has learnt how to do this on You tube. 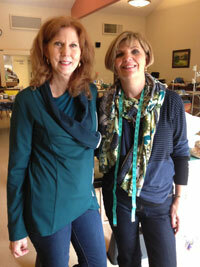 One of Jane's students from a few years back, Sharon Sciabica, came to visit one day. She now lives in the area. It was good to see her and know she is still sewing up a storm. She is wearing the teal colored sweatshirt which she made using a Marfy pattern. The general consensus after the 4 nights were over was "Can we have 5 nights next November? Take a look and see the fun that was had by all.